The same figure is often seen to cross from St Margaret's across the courtyard to the laundry store area. A voice saying 'goodnight' was heard from Cookery School door to Alison Benson-Smith one night when she was leaving the Restaurant Anise to enter Reception but no-one was there. Lavender bedroom - When one of the housekeepers recently was knelt down facing the mirror in the bedroom which faces the bathroom, she became aware of someone in the bathroom and began a conversation believing another housekeeper was there, with no reply. She had a more determined look and there was no-one there! Over the Christmas period of 2003 one guest complained repeatedly overnight of a baby crying which kept her awake. However, no babies were in the adjoining rooms. This special Halloween WeekendHaunts event will begin with your arrival at the stunning Hazlewood Castle on the afternoon of Saturday 30th October where you can explore the area or just relax in the lovely surrounds of the luxurious Hazlewood Castle. Alternatively you can take part in our Psychic Workshop where you will learn, amongst other things, about spirit guides and mediumship and you will be able to use the skills you have learned later that night. Throughout the event we will be investigating a number of extremely haunted locations including the Library Bar, the Courtyard and we have luckily been given permission to visit the Chapel. We will also be investigating the Jasmine Suite, which is one of the most luxurious and haunted rooms of the Castle. We are offering one of our WeekendHaunters the opportunity to stay in this room for a supplement of just £50! 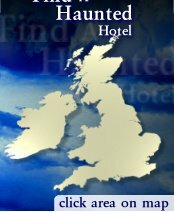 The Price for this WeekendHaunts event is £189pp, including Dinner, Bed and Breakfast for one night, psychic entertainment and full paranormal investigation at this Most Haunted period of the year. We only require 20% deposit to reserve your place - Simply click the 'Buy Now' button to book.